You'll be able to feel the anger when you hold our hand-sculpted, hand-painted resin figure of "Wrath" from our 7 Sins line. 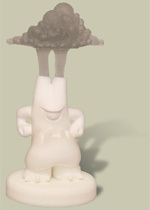 Measures 2.8" x 2.8" x 6.1" (including base) and features removable translucent plastic plume. Amazing quality and detail. 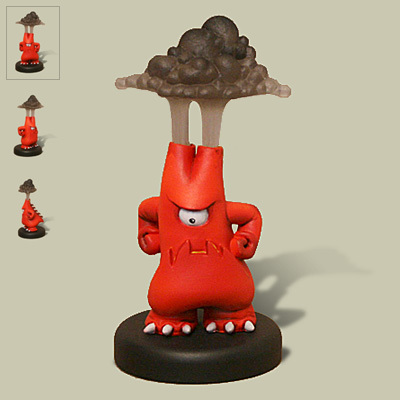 Wrath resin sculpt "in the raw", same as above, suitable for painting.